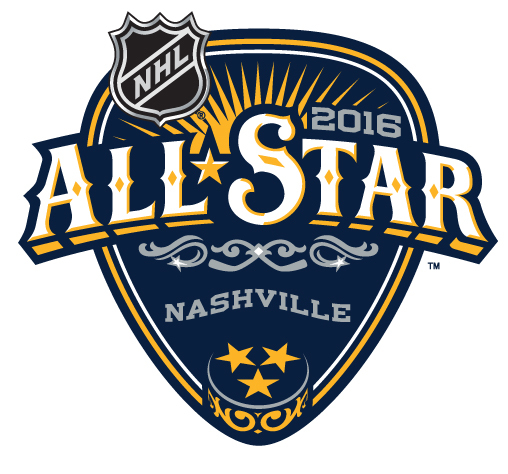 If you’ve been spending the past few days in a cave, you may have missed the fact that Nashville has been awarded the 2016 NHL All Star Game. The festivities will take place on January 30th-31st, 2016, at Bridgestone Arena. Team Suter vs. Team Weber. We don’t even know if they’re going to run with the fantasy draft format again…but in this instance, we think they should. And we think the choice of captains is pretty obvious. Fantasy Draft at the Ryman. Because if you’re going to bring the whole league here, you really need to involve the Mother Church. Of course, if the format doesn’t allow…at least put the Ryman on a t-shirt. 75 degree weather. We gift this upon you, rest of the NHL. Cellblock 303. Because what better way to hold an All Star Game in Nashville than by taunting every player that appears. Barry Trotz vs. Peter Laviolette. Coaching staffs are usually selected based on league performance and the home team. This one seems pretty obvious. Taylor Swift. This is more of a personal request. I will have two tickets and need a date. The Black Keys. “Gold on the Ceiling” live from the bandstage…enough said. Sidney Crosby. Did you know that since joining the league, Sidney Crosby has only appeared in ONE All Star game? He wouldn’t snub us now would he? An Empty LP Field. This one is in the NFL’s hands. If the Pro Bowl gets moved back to after the Super Bowl, January 30th-31st could potentially be the NFL’s Conference Championship weekend. Not that the Titans really need to worry about that, but in the contingency that the Titans somehow find the golden ticket to get them into the playoffs, we really don’t want to chance having anyone playing across the Cumberland River. The Pro Bowl. Just kidding. No one wants to see the Pro Bowl. Tourists in Cowboy Hats? Tourists in cowboy hats. Tomas Vokoun. Someone has to sign him first, but is it too early to start a write-in campaign? Mustard Jerseys. Because you want people to buy them 30 years from now…and it won’t get much more memorable than that. Credit. Regardless of what some backwards-looking fans around the league seem to think, Nashville is not being awarded this All Star Game as a charity case. The Predators have done millions upon millions of dollars of improvements to the arena. The area around the arena is jam-packed with more activities and businesses than it ever has been before. The Atlanta Braves are giving up their 20 year old venue at the same time that the NHL is showcasing Nashville’s. This is a crowning achievement of how far things have come since that dark day 7 years ago when we heard the name “Balsillie”. The organization has earned this opportunity – not necessarily the hockey operations portion, the other one – and this is the culmination of their climb back from the bottom. You. If you can afford it and you want to go, buy some form of a season ticket package and get on the priority list. We’d rather see an arena full of gold than red, right? ← Previous Story Preds continue off-season activities with the Hot Wing Face Off!